I suppose it shouldn’t come as too big of a surprise that I did not really enjoy reading a couple hundred pages about someone trying to decide whether on not to have a child but while I am no fan of children (in spite of the fact that people seem really excited to point out that I once was one as if that is the best argument that they can come up with) I am a fan of Sheila Heti, going back to her telephone conversation with Thea Bowering that appeared in The Capilano Review Issue 3:22 along with a really great short story called The Girl Who Planted Flowers. There were times reading Motherhood that I enjoyed and other times that I did not and quite a few times when I wondered if I’d misplaced the bookmark because damned if I hadn’t already read this once before. I’m glad that I read it and I’m not surprised that it was shortlisted for the 2018 Giller Prize but I’m forced to wonder if I give this book a pass because I’m a Heti fan. It is probably true that I would not have picked it up if it was written by another author. When I met with my physiotherapist last she said that if stuff was going okay that I am allowed to start increasing distance so I’ve made the dramatic increase from 5 KM last Sunday up to 6.6 KM today. My achilles feels okay but not great but not painful just the comes-and-goes sensation of imagine your achilles feels like dragging a string of wool across sandpaper. Not painful, but rather uncomfortable or annoying. 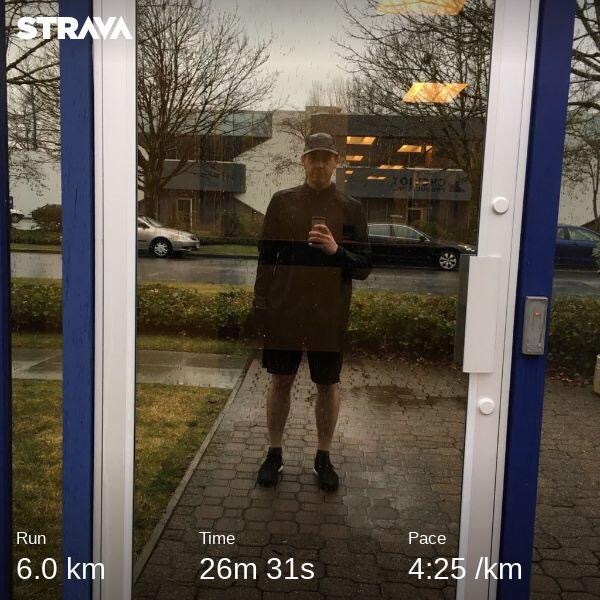 I’ve taken the instruction to run less far, more frequently, and now have a 5-ish kilometres per day streak of 16 days and I next visit my physiotherapist on Friday when I will find out if I’m allowed to run the First Half on Sunday, February 10. I am not confident permission will be granted. But I am really curious to see what will happen if I am allowed to race given that my farthest run of the past three weeks is 8 KM some 18 days ago and it’s been over three weeks since I last ran more than 11 KM. My biggest issue weighing heavily on my mind is that in it now 13 weeks until the BMO Marathon and running less than a marathon per week is definitely not going to get me across the finish line anywhere near my goal time. And as much as I like the Half course I really do not want to have to downgrade to the 21.1 again this year.